Westvillian Travis Carbonella, or King of Mardi Gras 2018? Lucy Gellman Photos. The beads flickered from neck to neck. The brass bands sidled up to shelves of books and played on. The gumbo was still piping hot, and conjured as much good gossip as a crawfish boil. But signs of the main Ives branch of the New Haven Free Public Library (NHFPL) were nowhere in sight. And for the first time in years, no one expected them to be. City Librarian Martha Brogan and Mayor Toni Harp follow a parade of drag queens and musicians to the party downstairs. 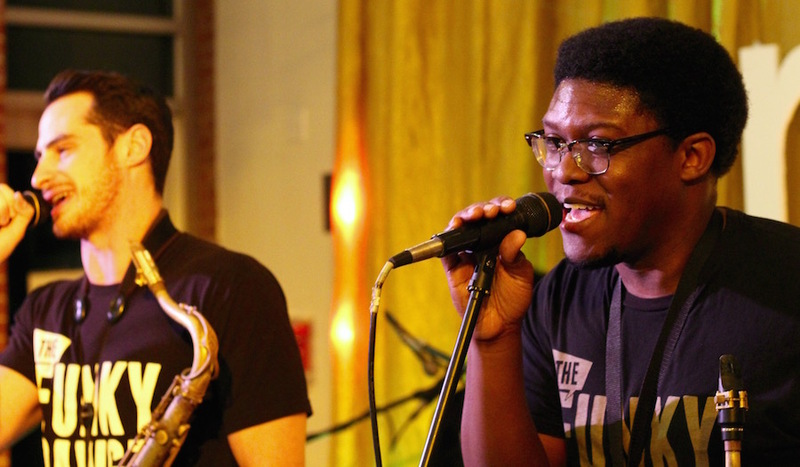 Tuesday night, the NHFPL held its annual Mardi Gras celebration and fundraiser at the Mitchell Branch of the library, moving the celebration from downtown for the first time in years. 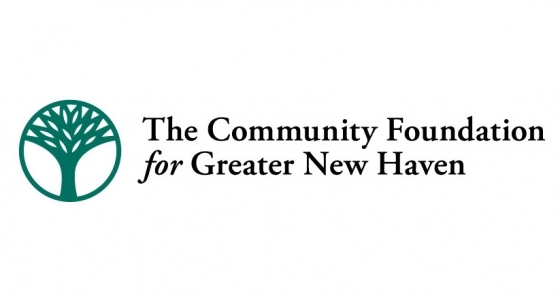 While the tradition was born over a decade ago at the New Haven Lawn Club, it has lived at the main library since 2011, when financial cutbacks pushed it to make the fete an in-house affair with community partners. But this year, a new eye on the community led the celebration to Westville, where Mitchell Library sits back from the corner of Whalley Avenue and Harrison Street. 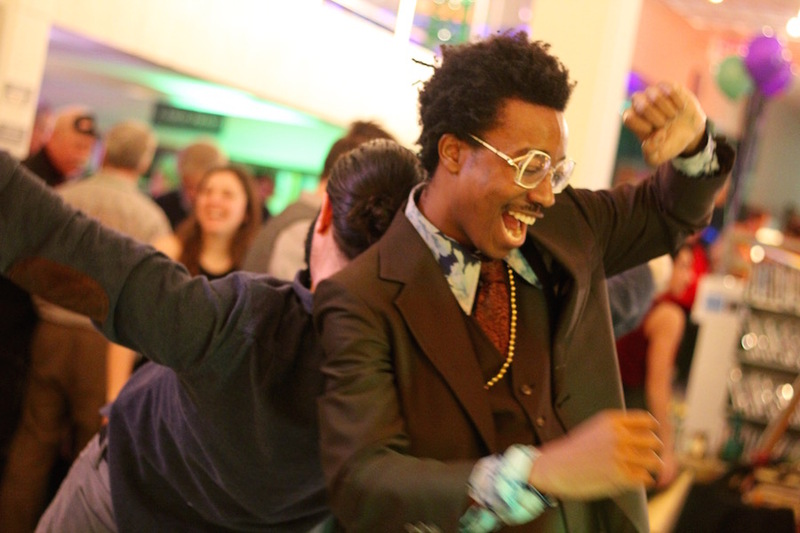 As the library’s largest annual fundraiser, the event brought in over 200 people over the course of three hours. As of Wednesday morning, the library did not yet have the total amount raised. 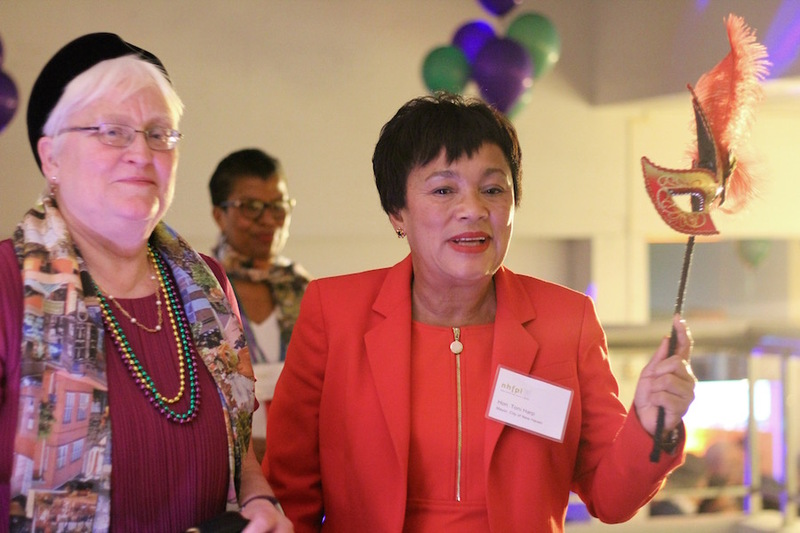 Mayor Toni Harp echoed those words, warning attendees that “we see a state retreating from its ability to serve its libraries,” and that a rocky road laid ahead for patrons and fans of the library system. Katie Jones and artist Kwadwo Adae sporting some newly-scored carrot seeds ... and gilded attire. But the shadow was soon lifted—at least partially—as Brogan spoke about what the library system has in store for the years ahead. In April, the library expects to open Ives Squared, a new “innovative commons” and cafe downtown, that is poised to become the whirring, tech-savvy heart of the downtown branch and the community. NHFPL Foundation President Elsie Chapman gave an update on the efforts for “Stetson: The Next Chapter,” a $2 million capital campaign for Stetson Library as it prepares to become part of the new Q House next year. She recalled how 10 years ago, the Newhallville community was rallying to save the library from closure. Now, it is getting ready to welcome its expansion. Colin Walters, with Tommy Weeks in the background. It was her pitch for attendees to chip in, signing up for prizes at a table that read “help fill Stetson’s stacks” in orange cardboard. Drag queen Kiki Lucia, Daniel Eugene, Luis Antonio, and Vivian La Flamme. The library transformed into a treasure trove, its back room filled with chefs from around the city. At stations from Amoy’s Cajun and Creole, Olives & Oil, Olea and Rawa, attendees waited to fill their plates with scoops of gumbo, sliders, chilled pink ceviche and falafel, mixing old Mardi Gras traditions with new ones. Long lines snaked around the room, friends squinting at each other through their masks and pausing for the balloons on the ceiling, the spray of glitter or beads that had somehow made it onto the carpet. Funky Dawgz trumpet Aaron Eaddy on trumpet and vocals. Back in the library’s main area, mixologists got to work, conjuring up New Orleans with each Vieux Carré (rye whiskey, bitters, cognac, sweet vermouth, lemon twist) cocktail they turned out. Mixing fresh orange rind with a liquor that tasted of cherries, fruity tea and burnt, spun sugar, Ordinary’s Tim Cabral made small talk with faces he’d not seen in the bar, which is going on its sixth week of repairs since a pipe burst earlier this year. They had addictive, classy brass to keep them going: the Funky Dawgz Brass Band, rocking as they played at one end of the room. Slowly, attendees tricked onto the dance floor, packing it by the end of the evening. Behind them, a photo booth from Lotta Studio shone silver with balloons and props, as attendees cycled in and out of it. Fallon Thomas (pictured above, at right), who was raised in Westville, said the move to Mitchell had made the difference in her choice to attend. There with her friend Marinda Monfilston, she said it was her first time there, but wouldn’t be her last.